They say that your home is your castle. Too bad it doesn’t come with a drawbridge and crocodile’s in a moat! Sometimes our homes seem frighteningly vulnerable to thieves, but fortunately the right home security system can provide valuable protection for you, your loved ones, and your hard-earned possessions. At InControl / Secure America, we still have old-school values when it comes to home security. We know that the most irreplaceable items in your home are your family and pets. Imagine how terrifying and angering it must be to come home to a ransacked and vandalized mess after a burglary, even knowing that insurance would cover your losses. Then imagine how much worse it would be to come home and find out that something tragic had happened to a family member. Horrible! That’s why we design each and every home security system as if our own family were living in your home. We focus on the family, because we believe that if we protect your family in your home, then we have more than protected your material possessions, too. We sell only the highest-quality equipment. Unlike some of our competitors, we will never sell an inferior alarm system in order to greedily collect a monthly monitoring fee and a long-term contract. We start with the best products on the market and never compromise quality. 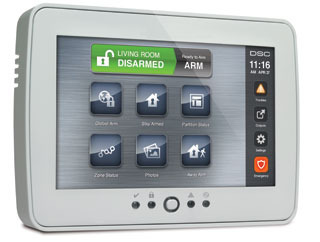 Our basic home security system is comparable to the second or third upgrade offered by most other companies. We offer a full one-year warranty on labor and parts, and not a service plan with monthly fees from day one like many other companies do. We also offer a lifetime warranty on our workmanship. We can afford to do this, because we stand by the exceptional quality of our products and services. We always work to build a long-lasting relationship with each and every one of our clients. We stay away from long-term service contracts, because we believe that we should have to earn your business every day through our high-quality products and exceptional service. We don’t need a piece of paper that forces you to be our customer, because we know that you’ll want to keep coming back once you see how fantastic our products and services are. Our security monitoring is priced competitively and billed annually, so you don’t have to worry about it each month. However, if you prefer, we can set up your account billing cycle on a monthly, quarterly, or biannual basis. That’s just one example of how we go the extra mile for our valued clients. At InControl, we offer free site survey and quotes. Our systems can be sold as complete systems or as prewires that give the new homeowner the option of trim out. All of our systems are scalable and expandable. We also offer fire detection that covers electrical code and notifies the local fire department, carbon monoxide detection, water sensors, and temperature sensors, all capable of notifying the homeowner. Camera Systems are also gaining popularity with homeowners. We offer a full line of indoor and outdoor surveillance systems for an added dimension of home security. Secure America offers UL Commercial Fire Alarm System for any of your projects. We offer services from design to installation to final inspection and continue with Annual Maintenance programs and Monitoring. We offer design and installation of custom built Security Gates and Call Stations for single family homes, subdivisions or commercial projects.